In a small medical practice, reliable medical billing software is a necessary tool. The same goes for hospitals, except on a larger scale. 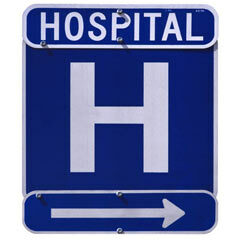 Good hospital billing software is the backbone of the institution. Without the ability to enter charges, send claims, manage patient accounts and perform administrative functions, the internal workings of any hospital would soon fall apart. Unlike a small doctor's office, which may see a few dozen patients a day, hospitals see hundreds of new patients a day, while caring for hundreds of others at the same time. Each patient is receiving treatment for one thing or another. This means that hundreds of new claims are generated every day, each one including the typical billing and coding practices. Because of this, your billing software must be capable of managing huge amounts of data easily. The easier and more streamlined your billing process is, the less money and work hours you'll spend on curing your billing staff's headaches. Before you purchase hospital billing software, and possibly during the buying process, consult with your billing personnel. They'll have important insights and preferences about the features necessary to perform their jobs well. Buying the right software may be a huge investment, but it's necessary for the smooth operation of the entire hospital. After all, if you perform services but aren't capable of billing for them, how will you get paid? Customer support: This is one of the most important things to think of when looking at hospital billing software packages. If you get a great deal on software, but it doesn't offer any training or education for your staff, then you have to factor in the time and effort that might be needed before they can use the software effectively. Also consider the technical customer support offered by the software company. If your billing staff have a problem or question, or if your system crashes, what can you do? Does the software company offer free customer support? Do you have to pay for each phone call? Will they send out a technician to help you solve your problem? These are very important questions when calculating the cost of your hospital billing software in the long run. Is the system customizable: You may want to consider a software company that offers customizable packages. Some software programs are designed specifically to meet your requirements - you may be able to pick and choose the functions that you need for your office. The extent to which you customise your package is up to you. You might even have the chance to select features based on a simple price list, and create your own hospital billing software suite. Coding updates: One of the biggest yearly changes are the updates to the codes sets. ICD-9 codes sets get updated each October, and CPT and HCPCS code sets are update each January. Although not all codes are changed in these updates, many commonly used codes are changed. In the hospital it's necessary for code set changes to be made automatically. That way, you don't have to go through every single code in the manual to make sure it is the correct one. This also helps make sure you are billing the correct codes the first time, and that all your claims are paid the right way the first time you bill them. EMR Compatibility: If your hospital is making the switch to Electronic Medical Records, make sure the hospital billing software you decide on is compatible with your new EMR software. If you haven't already decided on or purchased EMR software, you may be able to find a package that offers both electronic medical recording as well as hospital billing management software. Inventory Management: Because much of what hospitals bill for is based on HCPCS supply codes and other miscellaneous supplies, you may want to consider whether or not your software can keep track of this inventory. Supplies are very expensive. Keeping track of an entire hospital full of them can be both costly and difficult, if not nearly impossible. See if you can find software that helps you record the use of certain supplies, to keep track of theses random expenses. These are only a handful of things to consider when deciding on a hospital billing software package. Your final choice depends on your specific needs, environment, and preferences. Remember that the right billing software can make or break your entire hospital. It's the backbone of your practice and its proper functioning holds everything together. 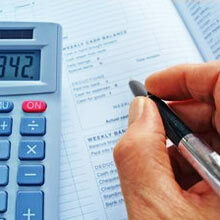 See: medical billing software price guide for more on choosing packages.